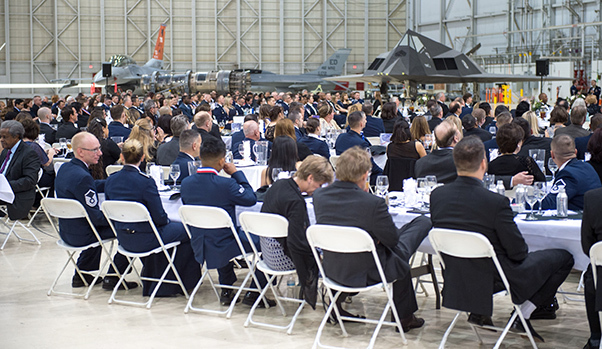 The 412th Test Wing held its annual awards banquet in Hangar 1600 Feb. 9, 2018. 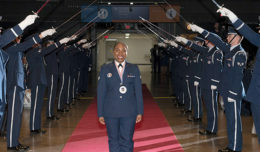 The 412th Test Wing hosted its annual awards banquet in Hangar 1600 Feb. 9, 2018, where accolades and hardware were handed out to the wing’s top performing individuals and teams. 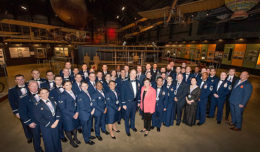 The banquet was held in the maintenance hangar with several planes on display including F-16s, an F-117 Nighthawk, F-35 Lightning II and B-52 Stratofortress. 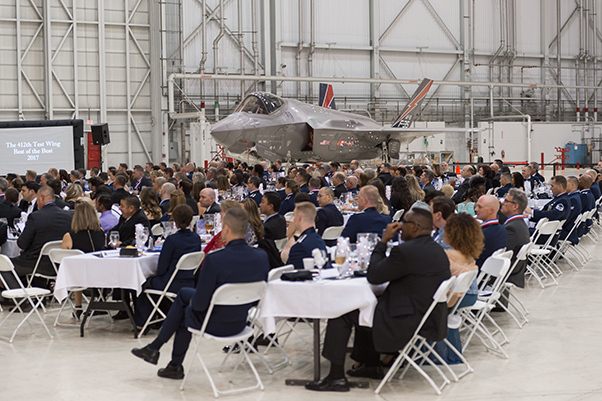 Aircraft on display at the 412th Test Wing Annual Awards Banquet Feb. 9 included an F-35 Lightning II. 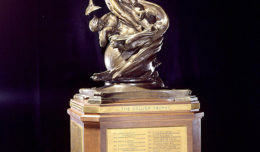 Aircraft on display at the 412th Test Wing Annual Awards Banquet Feb. 9 included F-16s and an F-117 Nighthawk.